We are happy to be back with an exciting New Year ahead of us! 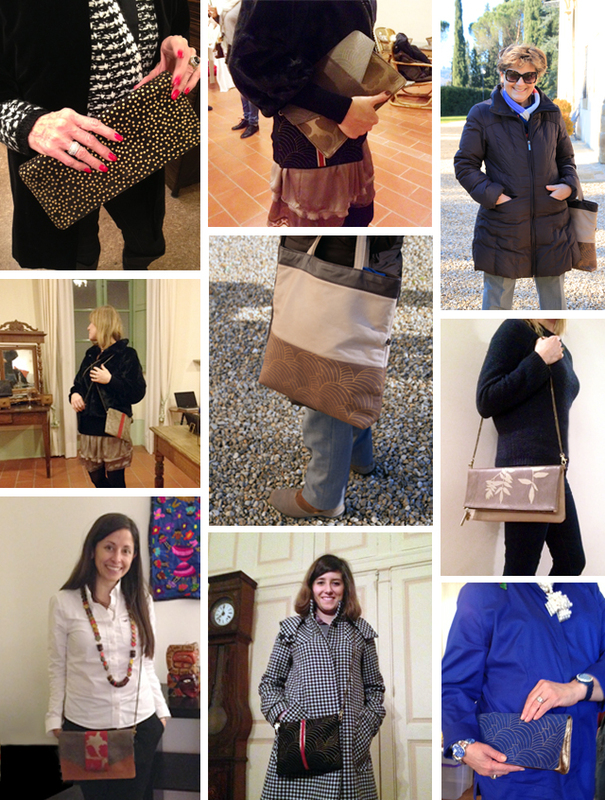 Here are some photos of BiniChic fans around the world, as well as some inspirational photos I took of our bags in the Tuscan location of Villa Vivarelli. We hope you enjoy them! If you’d like to see the collection in person, this next week you can catch us at the Fraiche @ Circuit show in New York from the 6th-8th of January, Pier 94. 12th ave @ 55th Street – Booth #3022. This past winter holiday, we were lucky to spend some wonderful days with our family and friends in Barcelona (Spain) and in Arezzo (Tuscany). I had a great time photographing my good friend from Barcelona — the talented actress and singer, Queralt — posing with some of the BiniChic bags to show their versatility in some of our favourite BiniChic locations in Tuscany: Villa Vivarelli and Villa Il Cicaleto. The beautiful bright leaves compliment beautifully with the red fern printed on the Eleonor Red. Inspiration and final product come together! I love how the Eleonor in gray tones looks in this room with hand-stenciled walls in periwinkle tones of Japanese inspiration. 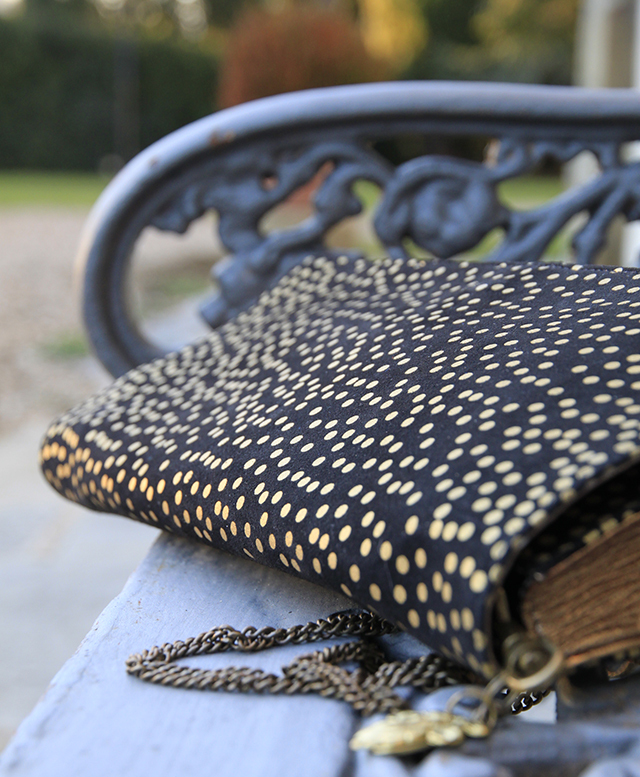 The warm winter sunset gave the black suede Florence clutch printed in Snow the perfect glow. 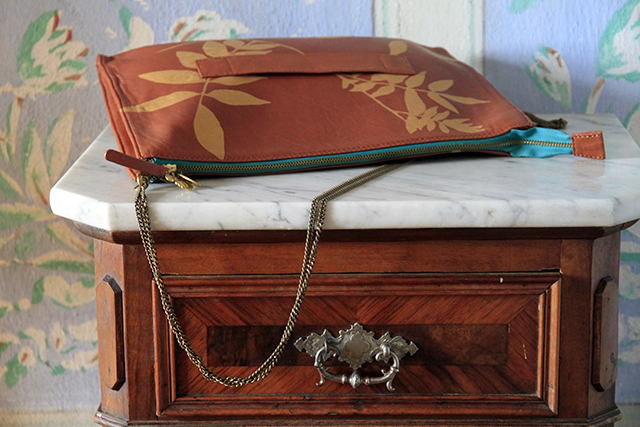 I thought the Sylvia bag in the Glade print looked interesting combined with the stencils featuring roses, flowers and other colorful Victorian motifs in Villa Vivarelli. 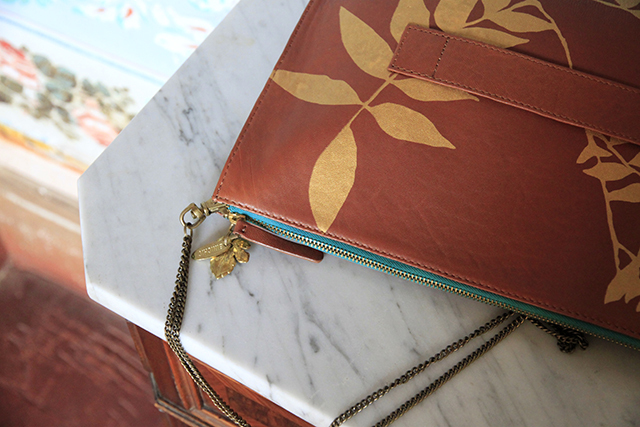 The caramel and gold tones of the bag coordinated wonderfully with the wood and marble night table, and the aqua zipper contrasted nicely with the wall designs. All the above photos and the two right below were taken by Ona Villier of BiniChic. 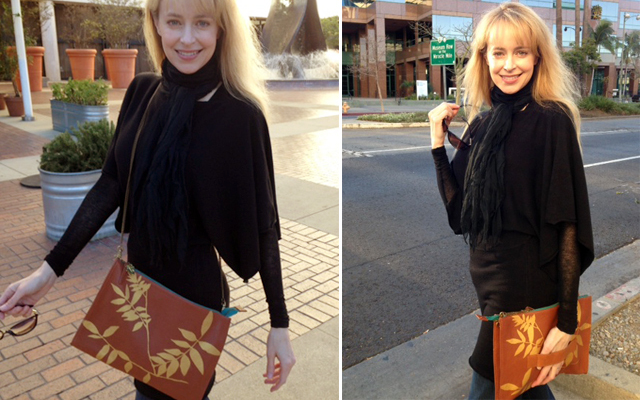 To show how versatile the Sylvia style is, the beautiful Robyn Bliley sent us some photos of herself in Los Angeles while taking a walk to her favorite cafe. 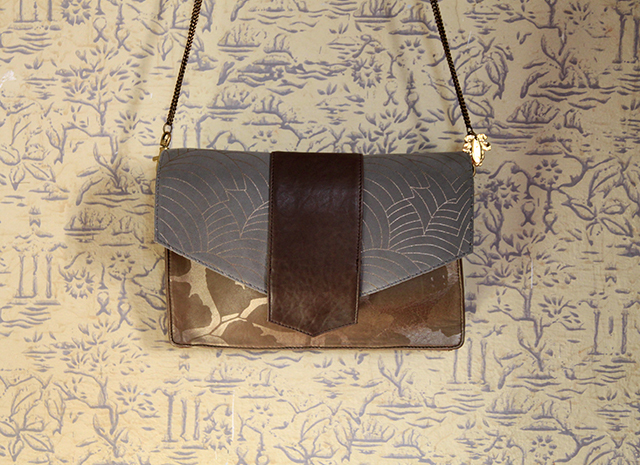 This style has a detachable chain as well as an incorporated handle, making it wearable as a purse or as a clutch. The photos of Robyn were taken by Chad Wilson. We also got some great photos of our fans in Dallas, Barcelona, Turin, Arezzo and Buenos Aires! Thank you Tania, Alessandra, Annie, Isa, Giorgia and all those who sent us their wonderful photos. 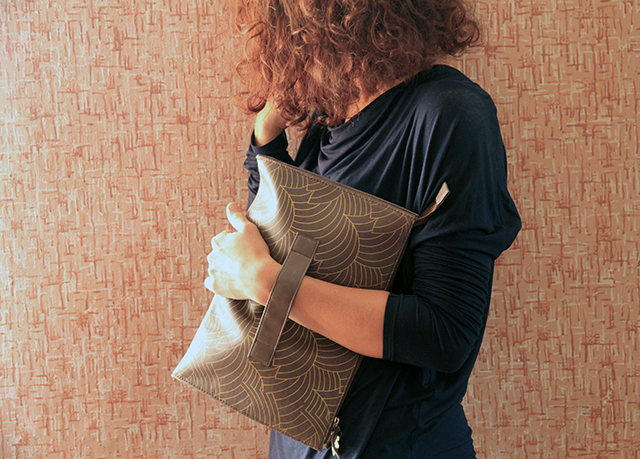 If you have a photo of yourself wearing a BiniChic bag or clutch, please send it to us — we love to see how you wear them. Also, stay tuned for an upcoming chance to win a BiniChic bag! Become a fan of our Facebook page to learn more. This entry was posted in Uncategorized and tagged accessories, arezzo, bags, barcelona, design, fashion, inspiration, New York, tuscany, villa, wabi sabi. Bookmark the permalink. Where can i purchase a handbag. i am interested in the one pictured with Robyn Bliley . 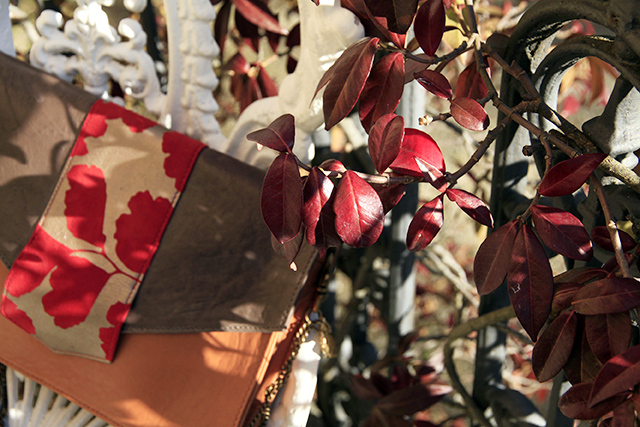 You can find our bags on binichic.com — You can also discover our new line of luxury handbags at onavillier.com. You can also subscribe to our store newsletter and receive our weekly discount deals.